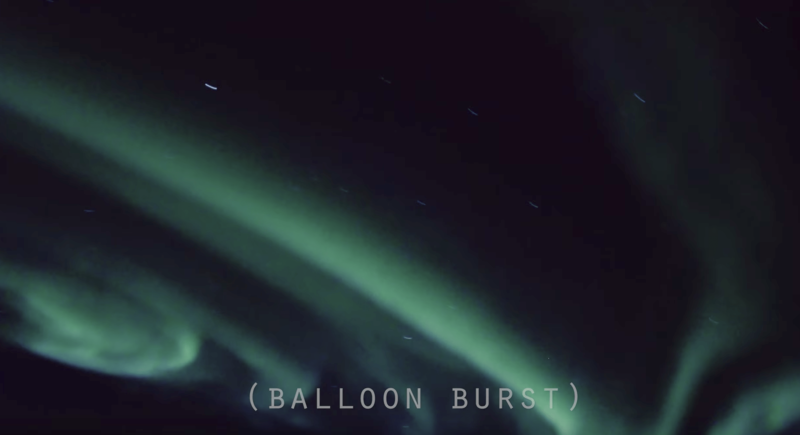 Formed in October 2015, Night Crew Labs was created with one mission: to film the aurora borealis from a high altitude balloon. After 18 months of building the balloons and testing countless scenarios, the team traveled to Fairbanks, Alaska in March of 2017 to finally make their dream a reality. On their blog, the team describes the biggest challenges once they arrived. 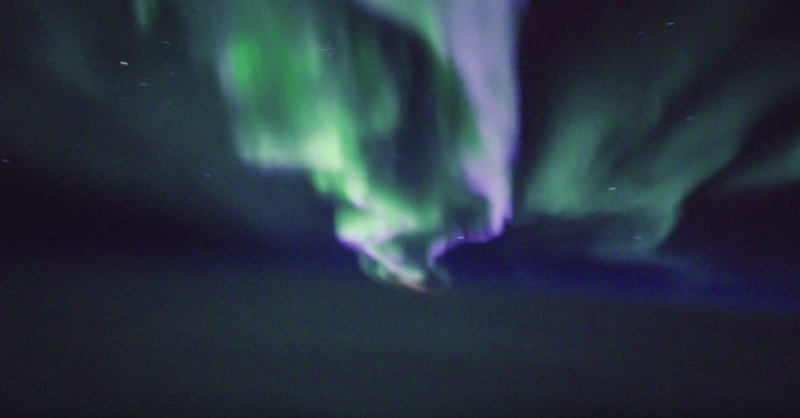 Having never seen or photographed the Northern Lights before, they weren’t sure of the exact settings they would need to use during flight. Also, trying to plan the launch with the perfect winds to make the balloon (and camera) recoverable in the Alaskan wilderness would not be an easy task. As with our two prior day launches in the area in the days leading up to this launch, the prevailing winds meant all flights had to be launched approximately 10 miles west of Fairbanks on turn-outs off the side of the mountain ridge highway. This was the only way to stand a chance of landing within a few miles of one of the few roads in the area. After testing balloons and GPS over two daytime test flights, the team was happily surprised that in both cases, the balloon landed half a mile from a road. The night launch, however, was completely opposite. The team quickly lost radio and satellite links, which meant they had no way of knowing where the balloon came down. After a good night’s sleep, they decided to hire a plane to fly over the area, in hopes of picking up a signal to the balloon or getting even luckier with a visual confirmation. The entire search and rescue mission is shown in this intriguing video. After the team was able to get the coordinates from the still working beacon, it would take a grueling six-mile hike in knee-deep snow before they would be able to breathe a sigh of relief that their payload was intact. On their blog, the team talks further about the equipment and science behind this incredible experiment, but perhaps most impressive is that this video was shot at 51,000 ISO on a Sony A7sII. 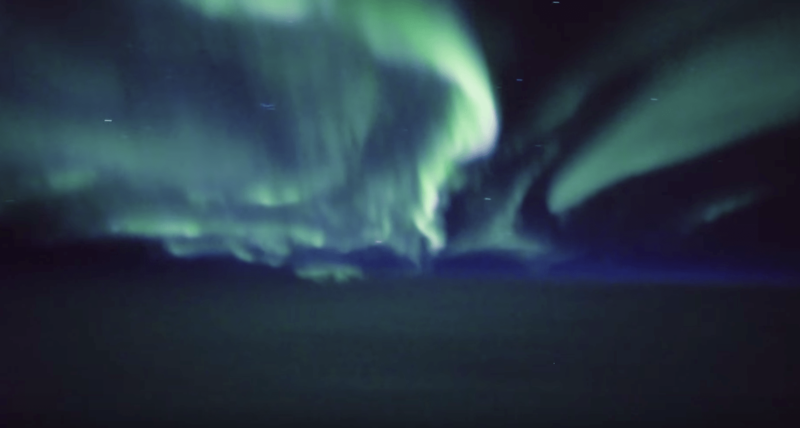 While I wish there was more stability and less rotation in the video, the film is a groundbreaking look at the Aurora Borealis from more than double the height of a commercial long-haul jet. We are all excited to see what the Night Crew Labs comes up with next. Keep up with the Night Crew Labs on their Facebook and Twitter.